The Organization of the Jews in Bulgaria “Shalom” has a mission to produce and present Jewish art, working in collaboration with Jewish artists and partnering with local and foreign cultural institutions, organizations and associations operating in the country. 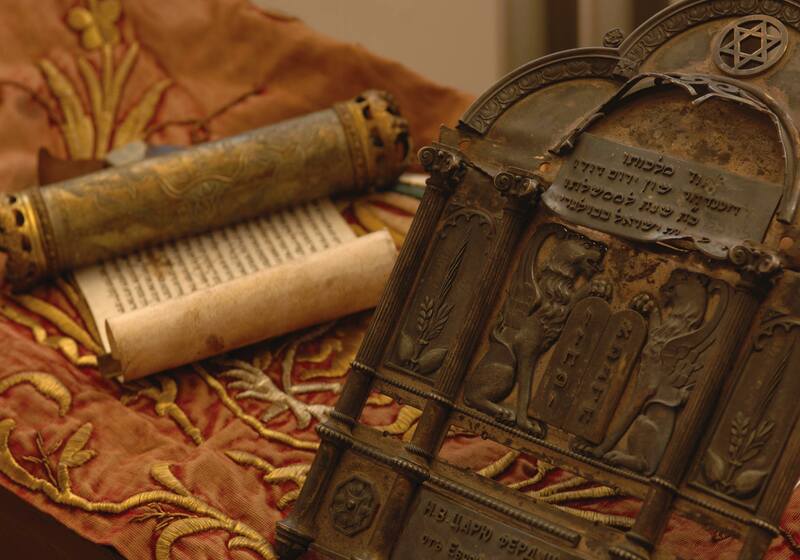 This mission has been inherited from the Organization’s predecessors – the Consistory and the Public Cultural and Educational Organization of the Jews in Bulgaria. No sphere of arts and culture in Bulgaria lacks noteworthy Jewish presence, in the past and in the present – from authors as Elias Canetti and Valeri Petrov to composers Pantcho Vladigerov and Nikolay Kaufmann, from actors and directors Leon Daniel and Itzhak Finci to artists Jules Pascin and Boris Schatz, we have a lot to be proud of. 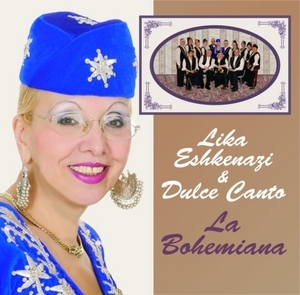 Ladino which are traditionally performed within the Bulgarian Jewish community during holidays and different family events. 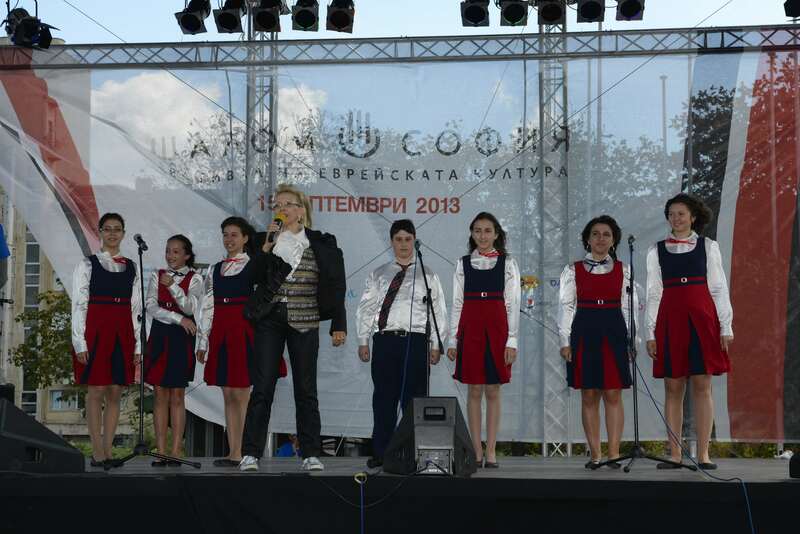 Vocal groups and performers of Jewish music often are guests and participants in local and international festivals. The Jewish community takes pride in the recognition many composers, singers and musicians of Jewish origin receive – Pantcho Vladigerov and Lyuben Vladigerov, Petar Stupel, Nikolay Kaufmann, Jules Levi, Simo Lazarov, Maxim Eshkenazi, Veselin Panteleev-Eshkenazi, Aron Aronov, Benedict Molhov – bringing fame to Bulgaria and the Bulgarian Jewish community. Dance art, though on a non-professional level, is extremely popular among the community members. The youngest among them study Jewish hora dancing at the Hebrew school Dimcho Debelyanov and its dance group Or a Kohavim, choreographed by Lora Levi. The young adults of the community regularly gather for dance marathons, organized by the specially trained dancers of the Keren Shemesh dance group. Anyone at beginners’ level who wants to try Jewish hora dancing is welcome to join Matilda Samuilova and her dance group Kedar Manseva. 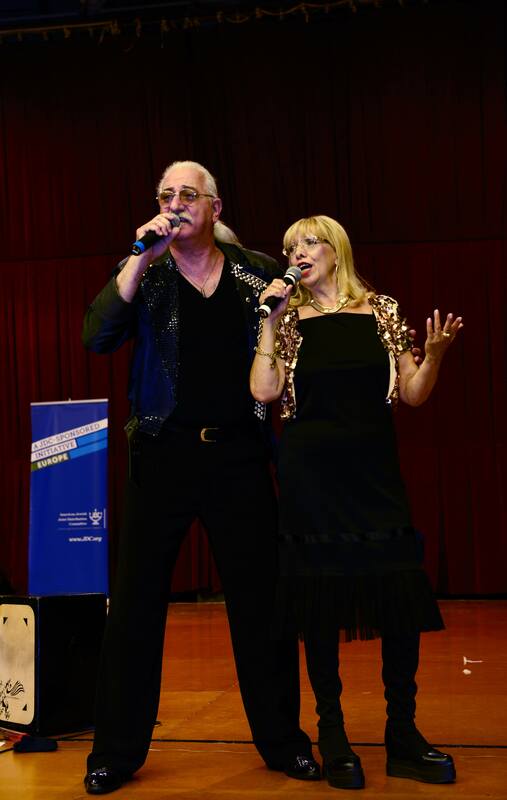 All dance groups, as well as the music groups, often represent Jewish art at different forums, festivals and concerts. Theater and stage art in general has attracted Jewish attention since ancient times. During the years there have been numerous attempts to create a Jewish Bulgarian theatrical company. 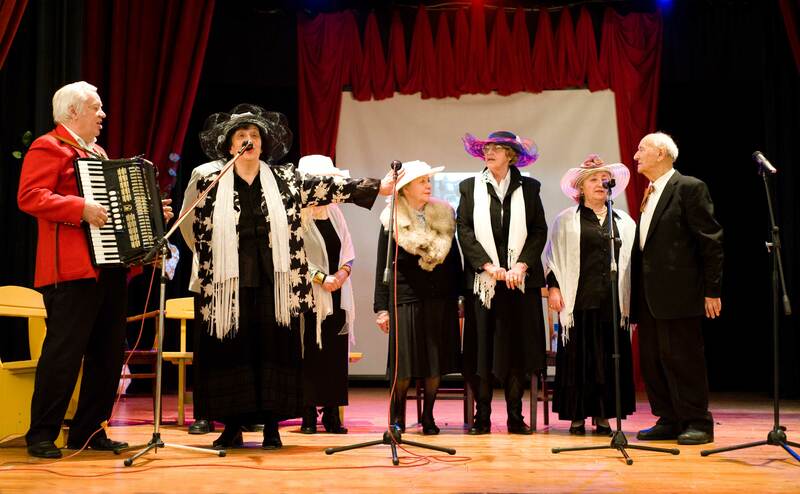 Even though officially such a formation does not exist within OJB Shalom at the moment, we constantly witness the creation of shows, performances, plays and even musicals about the life of the Bulgarian Jewry. 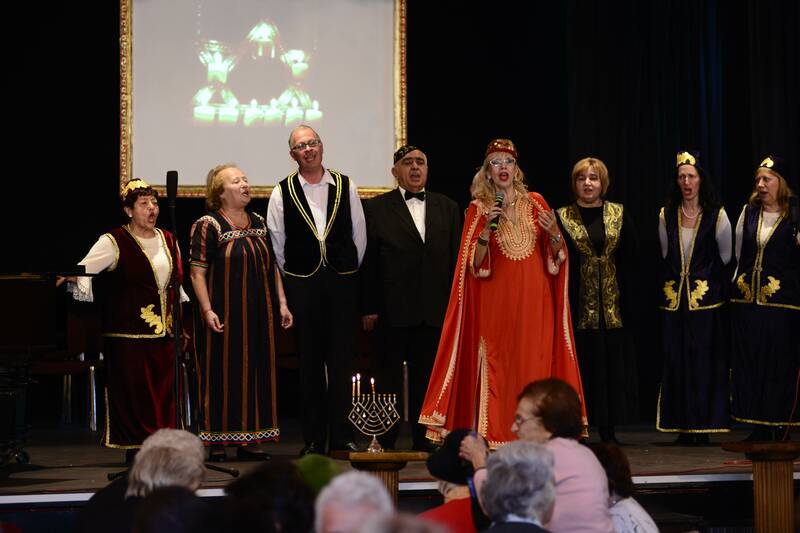 The performances staged by Mrs. Juliana Farhi, researcher of Sephardic legacy, explore the Jewish traditions not only within the community but also outside of it. Still, the future of Bulgarian Jewish theater is bright in the hands of the young students from the Children’s Theater Workshop taught by actors Ida Daniel, Casiel Noa Asher and Joseph Shamli. The talented work of Leon Daniel, Luna Davidova, Leontina Arditi, Itzhak Finci, Yossif Sarchadzhiev, Eva Volitzer and others beckon the next generation to follow into their footsteps. 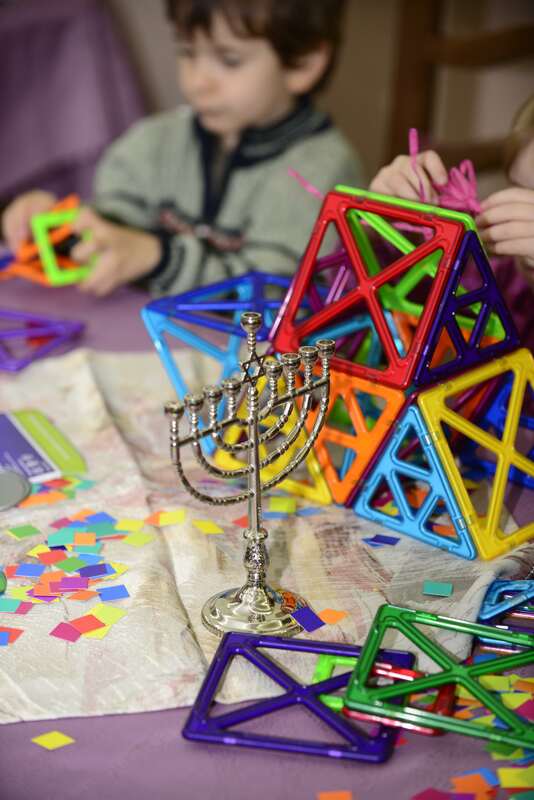 Applied arts also found their deserved place in the Jewish community within the activities of every club or program, but one name stands out. 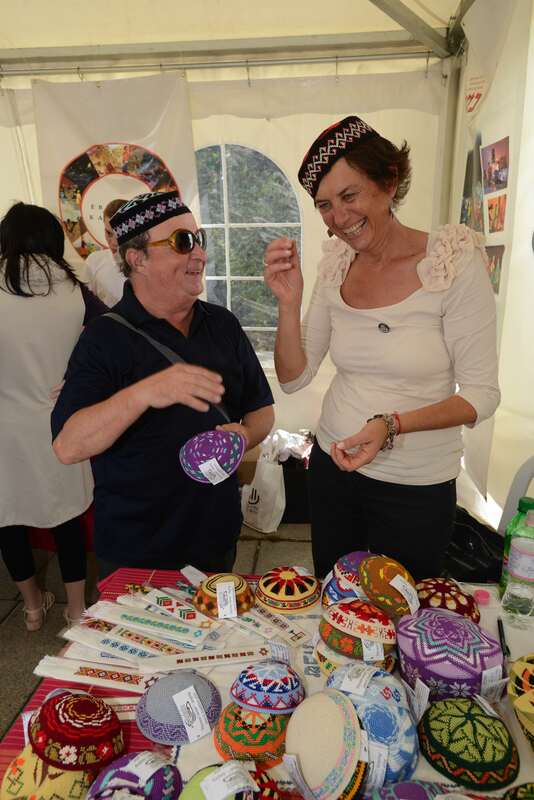 The women’s group for Sephardic arts and crafts Manos Bendichas creates handmade objects common for the Jewish home, religious life and synagogue – kippot, hallah covers, parochets, etc. 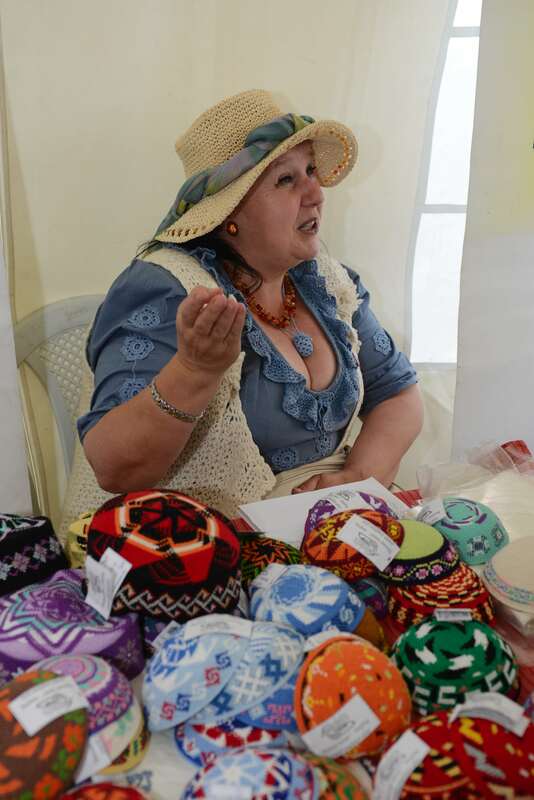 In the sphere of fine arts, the Bulgarian Jewish community boasts artists such as Andrey Daniel, Greddy Assa, Zhana Behar, Ivo Mirchev, Nellie Sand, Rennie Pilosoff, Slav Bakalov, Selma Todoroca, Stavri Kalinov and many others. 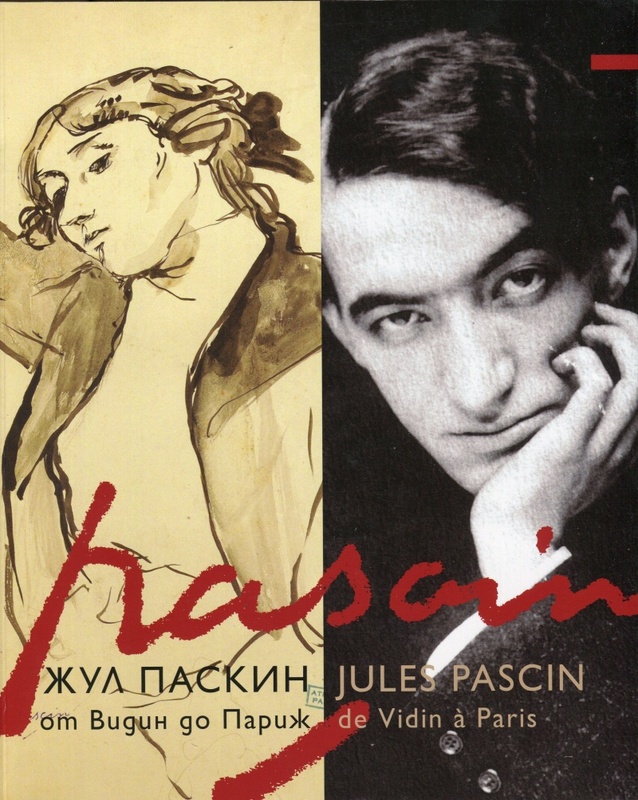 The community puts a lot of effort into popularizing artists such as Anna Kremer – Behar, Jules Pascin, Sami Bidjerano – Sabin, David Peretz, Marco Behar, Boris Schatz, etc. who are universally acknowledged, through organizing exhibitions of their works. Literature is another art which is present daily in the life and activities of the Bulgarian Jewish community and its members from all age groups. This is yet another sphere with prominent names that not only the Jewish community but the entire Bulgarian society should be proud of. The only Bulgarian Nobel Award winner – Elias Canetti, Dora Gabe, Valery Petrov, Angel Vagenstein, Eddie Schwartz are household names in Bulgaria and authors of works every Bulgarian should be acquainted with. The Organization goes to a great length to accommodate the huge interest of its members in the sphere of literature. More detailed information about the publishing activity of Shalom can be found on this website, while a confirmation for the traditional love and respect the Jews have for the written word, is the existence of the Readers Club chaired by Yaffa Melamed, which has welcomed some world famous authors throughout the years. Perhaps here is the right place to mention that the organization is engaged with the preservation of the language richness and traditions of the community by regularly organizing lectures, presentations, seminars and international conferences dedicated to the Ladino and Hebrew languages. 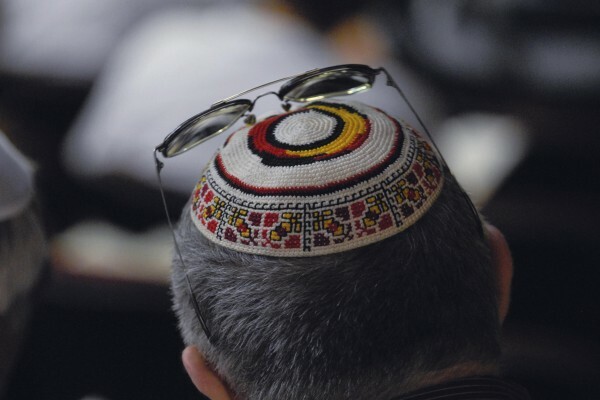 Ladino or Judeo-Español is the language of the Sephardic Jews – the majority of the members of the Bulgarian Jewish community. 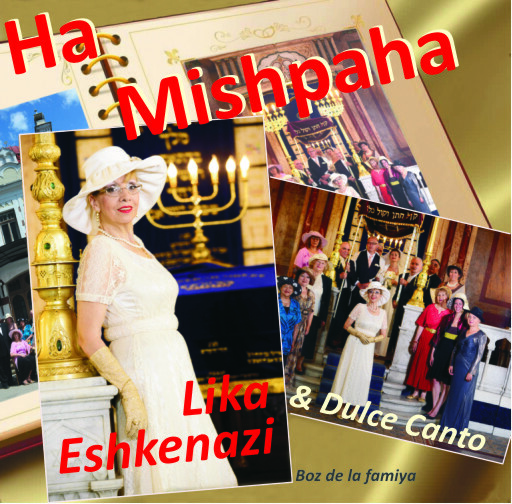 The Organization supports and promotes the active work of both the Club of the Hebrew speakers and the Ladino speakers. Last but not least, it is important to mention Shalom’s Photography Club led by Zafer Galibov, which gathers all community members interested in photography. They have regular exhibitions of their works, which spark interest both within and outside the community. During the past few years it is through the medium of photography the community chooses to present its activity to the wider public. Many photo exhibitions have been shown in various galleries and open spaces, such as the City Garden in Sofia, the space in front of the National Palace of Culture, etc.